Summer 2015 has officially arrived in full force. Today, heat is one of the leading weather-related killers in the US and results in even more heat-related illnesses. However, by educating yourself on the dangers of severe heat and preparing for excessive heat levels, you can protect yourself and your family from becoming a victim of the high temperatures. When a heat wave is predicted for your area, your weather forecasters will issue either an excessive heat watch, an excessive heat warning or a heat advisory. A heat watch means there is likely to be a short heat wave within the next 24 to 72 hours. A warning means daytime highs for at least the next 2 days are between 105-110° Fahrenheit. An advisory means highs are likely to be between 100-105° Fahrenheit for 1 to 2 days. Paying close attention to your local weather is the best way to stay aware of upcoming heat waves. Before the next heat wave arrives however, you should ensure you and your family are prepared. You should keep your phone charged and have a plan for the places you most often spend your time – home, work and school. 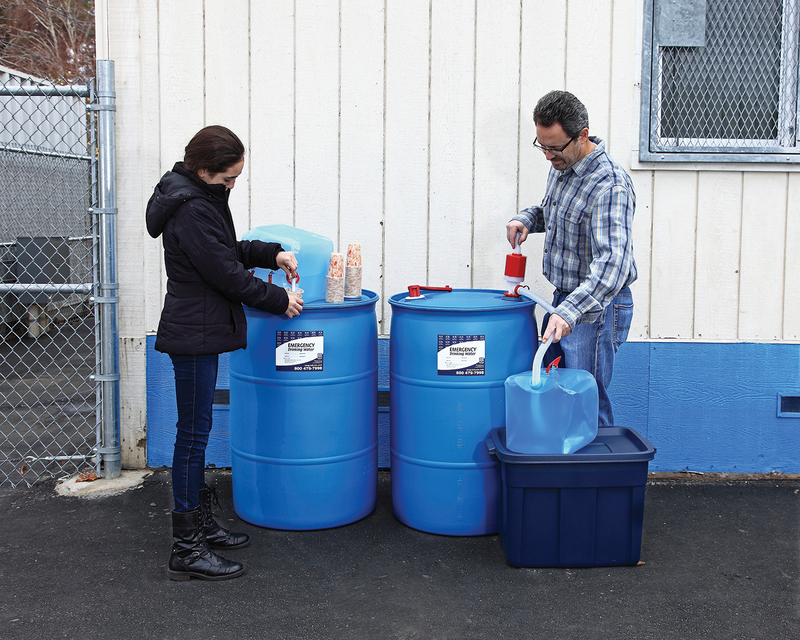 An emergency disaster kit could be essential in the case of a power outage. Make sure you’re always stocked up on food, water and basic first aid supplies. If you do lose power and therefore air conditioning in your home during a heat wave, it’s bound to get uncomfortable fast. Plan on places you can visit during the day, such as the library, museum or a movie theater, to find relief. A fan alone will not be enough to prevent heat-related illnesses during extreme heat waves. During a heat wave, make sure to stay hydrated and drink water often, even if you don’t feel thirsty. Sweating removes salt and minerals from your body, so it’s a good idea to have sport beverages on hand as well. You should wear lightweight and light-colored clothing (dark colors absorb the sun’s rays) and stay indoors during the warmest parts of the day. As always - remember to never leave your children or pets alone in an enclosed vehicle. Young and old people alike are particularly sensitive to extreme heat. Babies and young children may not show any signs of heat stress, so it’s important to keep an extra close eye on them and watch for: increased irritability, loss of appetite, going to the bathroom often and generally looking unwell. 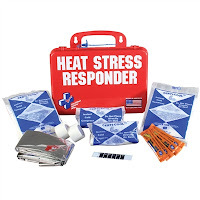 For those who work outdoors and cannot easily escape the heat, it’s a good idea to monitor the conditions of your fellow co-workers and keep a Heat Stress Responder Kit on hand so you can prevent and manage emergencies instantly. Cramps, headaches, nausea and dizziness may indicate you need to move to a cooler place. If vomiting occurs or you begin to lose consciousness, ask for assistance and call 9-1-1 immediately. Have your own summer heat safety tips or activity ideas? We’d love to hear about them – leave us a comment below! And of course, stay cool this summer!